The Hubble Space Telescope was deployed from the Space shuttle Discovery during STS-31 on April 25, 1990. Since then, there have been 5 servicing missions that continued to upgrade the telescope's scientific instruments and operational systems. 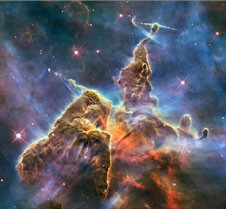 Hubble reached a major milestone, its 20th anniversary in orbit, on April 24, 2010. 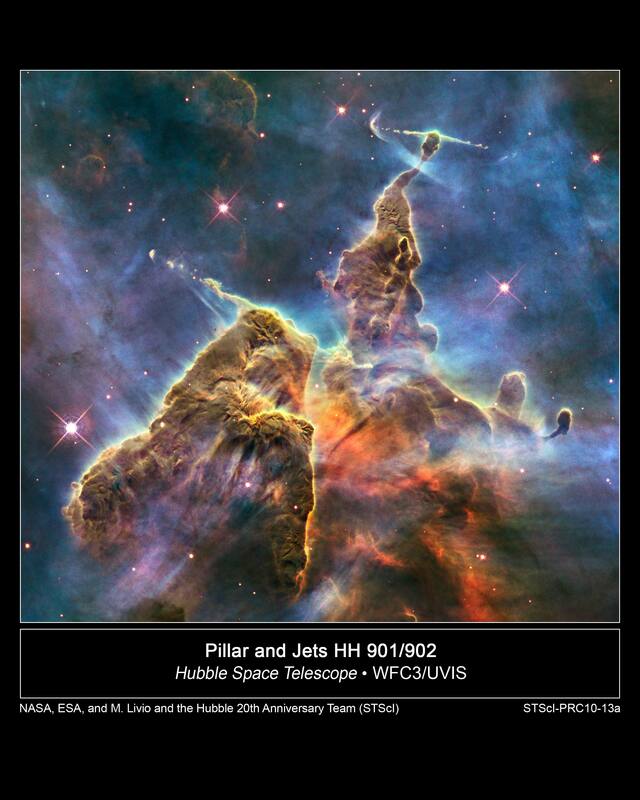 Hubble imagery has both delighted and amazed people around the world and has rewritten astronomy textbooks with its discoveries. For the latest news on Hubble, visit http://www.nasa.gov/hubble. To view the rest of this site, click here. The Hubble Space Telescope Program resides at the NASA Goddard Space Flight Center, Greenbelt, MD. The creation of material for this website through the years has mostly been linked to the Hubble servicing missions. The final servicing mission, the spectacularly successful SM4, took place in May 2009. As a result, this site is no longer updated on a regular basis. The website does contain detailed information on the telescope and its operations, the scientific instruments and other hardware currently on board Hubble, and details about all the servicing missions that were flown during 1993-2009. For the latest science from Hubble, please visit http://www.nasa.gov/hubble, http://www.stsci.edu/hst, and http://www.hubblesite.org/.